The Menu Item Record is automatically created once the POS Integration has been completed. R365 will automatically import each Menu Item that appears in your POS. Similar to the relationship between Employees and POS Employees, a Menu Item and a Menu Item Link will be created for each Menu Item that appears on each POS that is integrated with R365. Menu Items - Allows the User to set the details for each Menu Item including: Display Name, Estimated Cost, Price, Target Margin, etc. For Users that want to keep their Menu Item list in order, we recommend using the Menu Item Categories and creating a Saved View for the Menu Item list. The User could set the filters to only include the categories that they want to see, or specifically exclude the categories they do not want to see, such as 'NOT MENU ITEM'. In this example we have two Menu items that are the same but have different names. We will link the two POS Menu Items to a single R365 Menu Item. Linking the two items together will give you a more accurate view of the Menu Item Performance across locations. 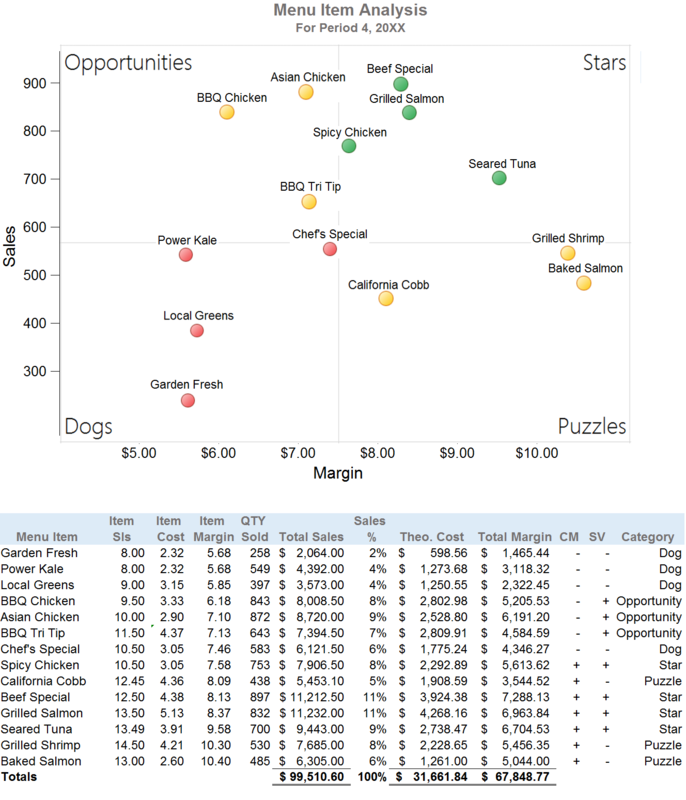 A few reports exist to calculate and analyze recipe costs and more reports are added often. Two primary reports used in this module are the ’Menu Item Analysis’ and the ‘Menu Price Analysis’ Reports.